Kids become Indiana Jones-type explorers who are seeking hidden treasures in exotic places while using physical moves to game. One of the best active games for kids ages 8-14 -- and it can be played with up to 4 people so whole families can join in. The third title in the Active Life series from Namco Bandai Games, this game skews a little older than the first two in the series and is best played by kids ages 8-up. As with the first two games, this game is played using the special Active Life Mat which comes included with the game. Kids will not only run and jump on this mat, but they will also squat down to use their hands so that their whole body can get into the playing. While Active Life Explorer has four modes, the most exciting for kids is the Treasure Adventure Mode. In this story mode, you (and up to three of your friends) get to become Indiana Jones-type explorers who are seeking hidden treasures in exotic places (jungles, islands, snowy terrains, and even underwater in the ocean). 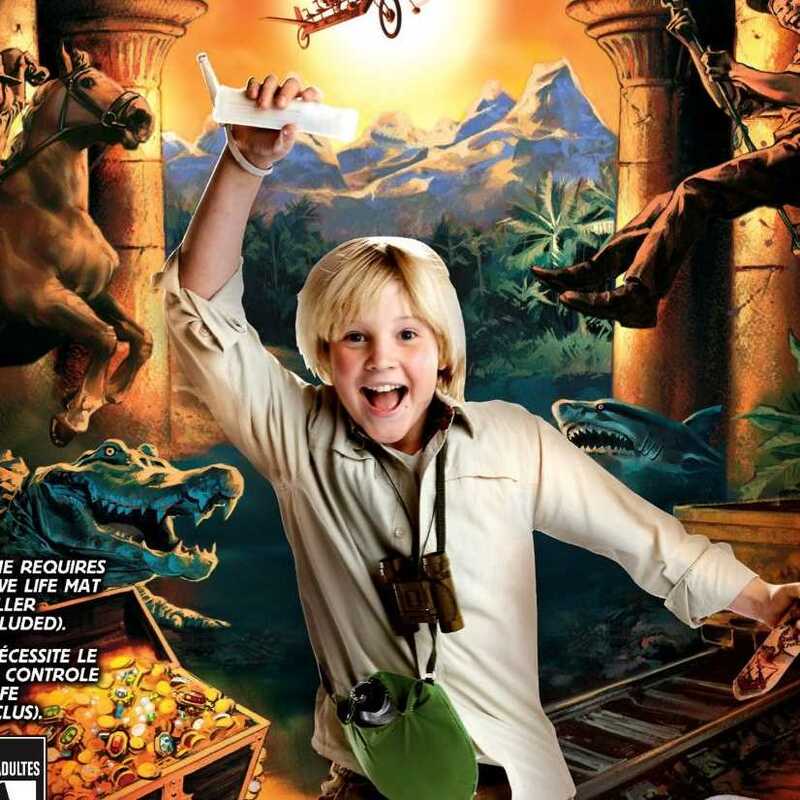 By playing the over 20 physically challenging mini-games, kids unlock a giant treasure map. The physical challenges take the form of running in place, jumping, squatting, and moving quickly around the eight spots on the mat. 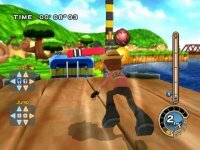 Those actions translate onscreen into games where your running makes your avatar cross a suspension bridge that is rapidly disintegrating behind you; your jumping enables your avatar to rappel down a cliff face; and your squatting at just the right times allows your avatar to walk on the roof of a runaway train without getting knocked off. 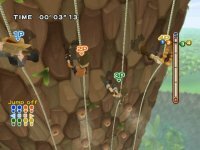 This story mode does such a great job of incorporating physically demanding activities into an adventure that kids will look forward to and want to take on. The challenges do get harder the further into the story mode you go. As kids pass a challenge, they will unlock more of the map as well as additional difficulty levels for the challenges, which can be accessed in the Free Play Mode. In the Free Play Mode, kids can choose which of the 24 mini-games they want to play. They can control the difficulty level, and the number of players. Every time you finish a physical challenge, the game keeps track of your record and ranks you. 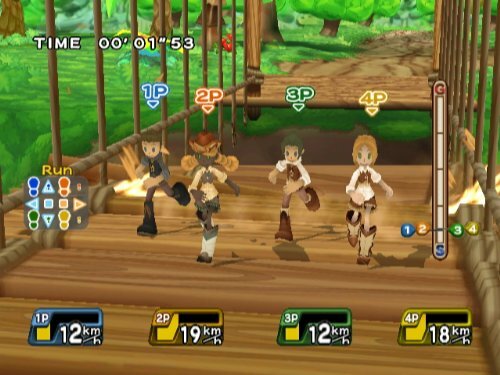 In the Party Mode, up to eight players can decide to get physical together. The party can be Quick (five rounds), Full (10 rounds), or Mega (20 sweat-inducing rounds). The game keeps track of your points and awards a winner at the end of the party. Some of the games are competitive, like racing against each other where four players squish together on one mat and then madly pump their legs while jogging. Others are cooperative, including a three-legged race where two people run in place next to each other on the same mat with the goal being to sync your inside legs so that they both touch the mat at the same time. 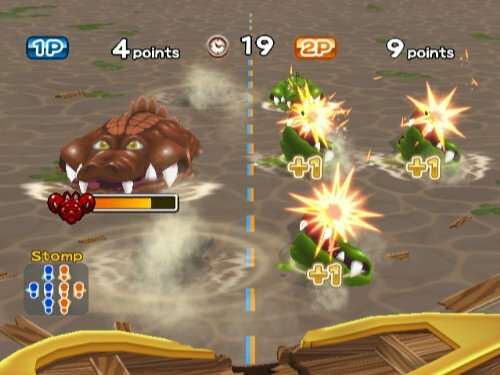 There is also a separate Treasure Trials Mode where you must master a series of physical challenges in a row. While this game might sound like it is appropriate for little kids, it probably isn't. You have to be able to read to follow along the story and talk to characters. Also, as treasure hunters, you will encounter scary looking alligators, sharks, and dragons; crash in a plane; and get zapped by electricity (you fall over, shake a little and then appear dazed for a time). While you always recover and start again, some of the imagery can be scary for kids younger than age eight. However, for kids age eight and up, this game is a hoot. Kids have always enjoyed playing physical games on the Wii, but this is one of the best. The controls work well and are introduced with easy-to-understand videos. 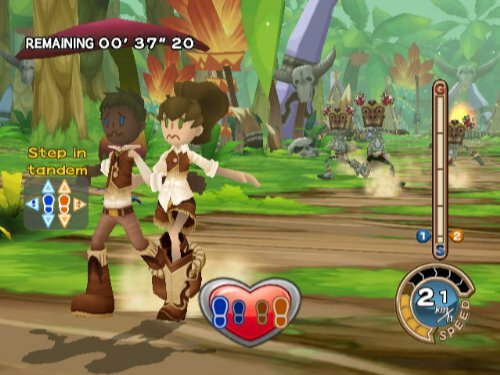 In all the modes except the story mode, the game play can be explored on many levels of difficulty. There are enough mini-games that you feel like you are always doing something different. For example, in one challenge, you run in place on the mat as fast as you can so that your avatar can swim quickly underwater to get to a hatch before running out of breath. In another, you will be exploring a cave where you can move when the lights are off, but must hold still when the lights come on. Kids will also enjoy designing their own avatars and winning cool-looking costumes for them to wear. For kids who love watching their own Mii (an avatar designed in the Nintendo system), this game allows you to import your Mii into the game. Plus, parents can feel good about their kids' playing "Active Life Explorer" because it provides good exercise -- so good that parents might do well to join in.